During the Late Period, Ancient Egyptians mummified millions of cats. 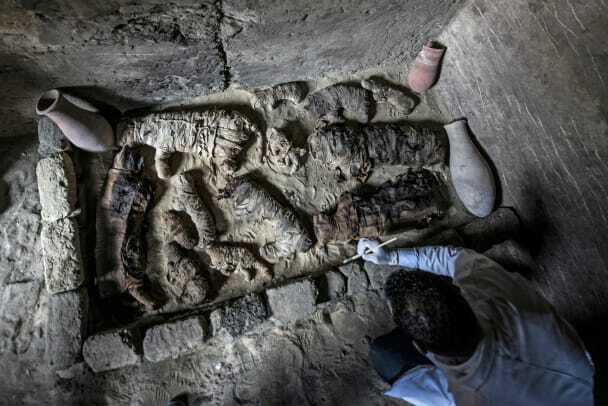 Archaeologists in Egypt have discovered dozens of mummified cats along with 100 wooden gilded statues of felines and a bronze statue of a cat goddess named Bastet. These artifacts were found inside the King Userkaf pyramid complex in the Saqqara necropolis, a famous burial ground for the ancient Egyptian capital of Memphis, the country’s Ministry of Antiquities announced. Egyptians mummified millions of cats in the Late Period from 664 to 332 B.C.E. When British explorers pillaged Egypt in the 1890s, they shipped many of them home to use as fertilizer, even transporting 180,000 cat mummies on one ship. The recently discovered cat mummies were found in a tomb dating to the Fifth Dynasty of the Old Kingdom; apparently an instance of Egyptians reusing an old burial chamber, says Kara Cooney, a professor of Egyptian art and architecture at the University of California, L.A., who isn’t involved in the discovery. After the government pulled temples’ funding, these temples supported themselves through a system similar to the indulgences the Catholic church would establish centuries later. The temples told people they could get their messages or prayers to the gods if they bought physical effigies of the gods from them, imbued their messages in the effigies, and then gave them back to the temples to pass along their messages to the gods. Many gods like Bastet had a feline form or features, and this led worshipers to buy, essentially, a lot of dead cats. Salima Ikram, a professor of Egyptology at the American University in Cairo, has demonstrated that many cat mummies died by strangulation. 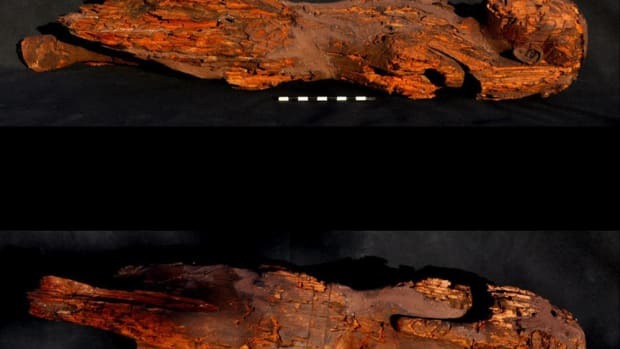 In addition to the cat mummies and statues, archaeologists found statues and painted wooden sarcophagi depicting other animals: a lion, a cow, a falcon, cobras and crocodiles. 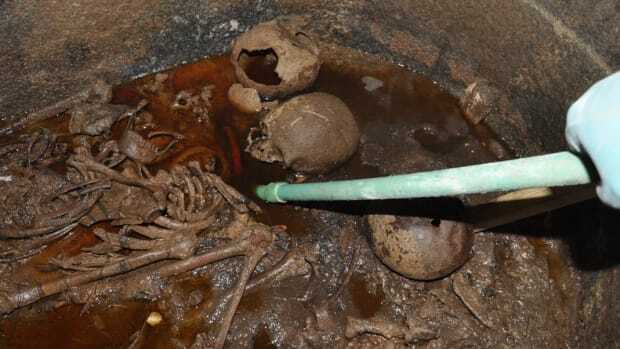 Two large mummified scarabs were wrapped in linen and placed inside a tiny sarcophagus decorated with painted black scarabs (unlike those in the 1999 movie The Mummy, real scarabs don’t eat human flesh). Archaeologists also found amulets, covered urns and chapters from the Book of the Dead. Personally, Cooney thinks the coolest part of the discovery is the scarabs. 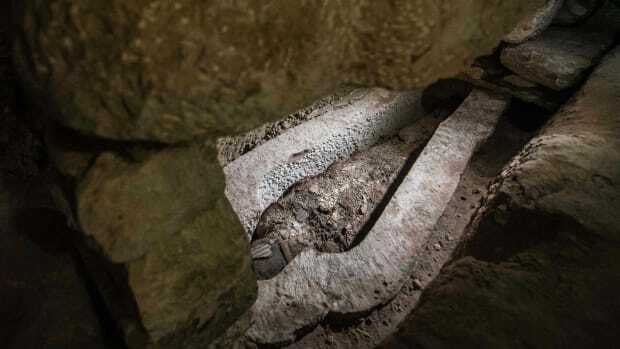 “We do know that they’ve existed, but to find the actual mummies of the beetles is very interesting because that hasn’t been as well preserved,” she says. 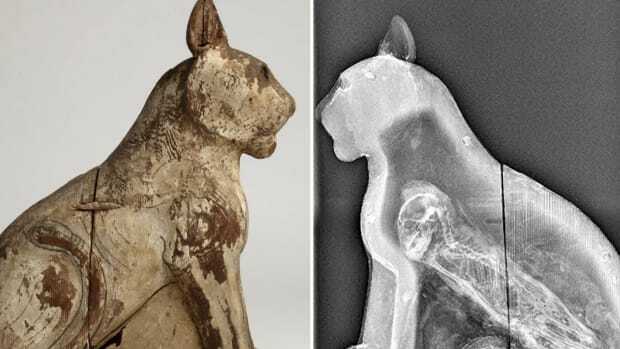 In contrast, cat mummies are so prevalent they’ve become an annoyance to archaeologists in Egypt. Researchers have also discovered Egyptian mummies of birds, dogs, fish and scorpions. 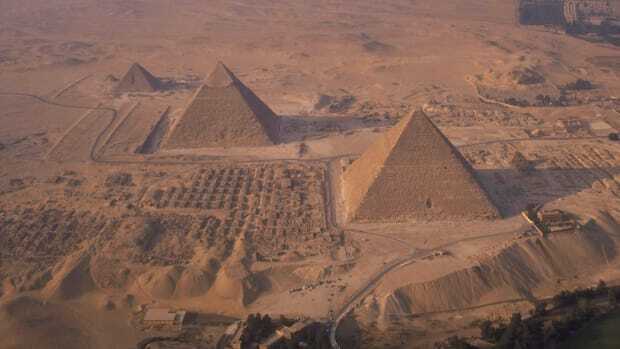 If you feel like you’re hearing about an unusually high number of Egyptian discoveries lately—you are. 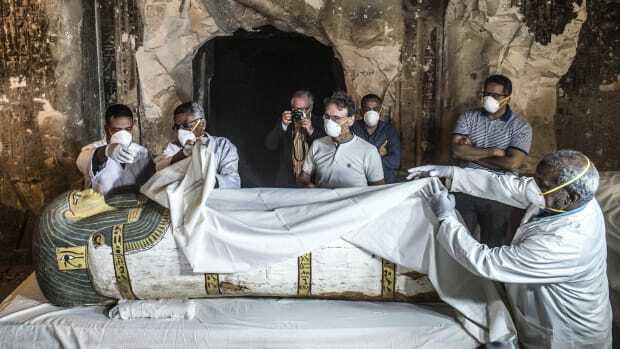 For at least the past two years, Egypt’s Ministry of Antiquities has heavily focused on uncovering and publicizing new artifacts like the cat and scarab mummies to boost its once-robust tourism industry. After the Arab Spring and Egyptian revolution, international tourism sharply declined from 14 million visitors in 2010 to 5 million in 2016, according to the World Bank. Other recent discoveries at the Saqqara necropolis include a 4,400-year-old Egyptian tomb that may have belonged to a high-ranking priestess and an ancient mummy workshop. 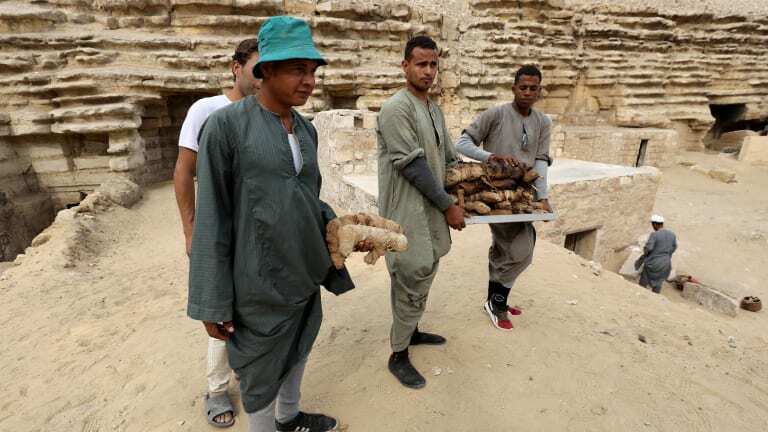 This year, archaeologists have also discovered a 4,500-year-old ramp system used to haul alabaster stones out of a quarry at Hatnub and three mummies floating in sewage in Alexandria—although in the latter case, the Ministry of Antiquities had hoped there was something else inside.